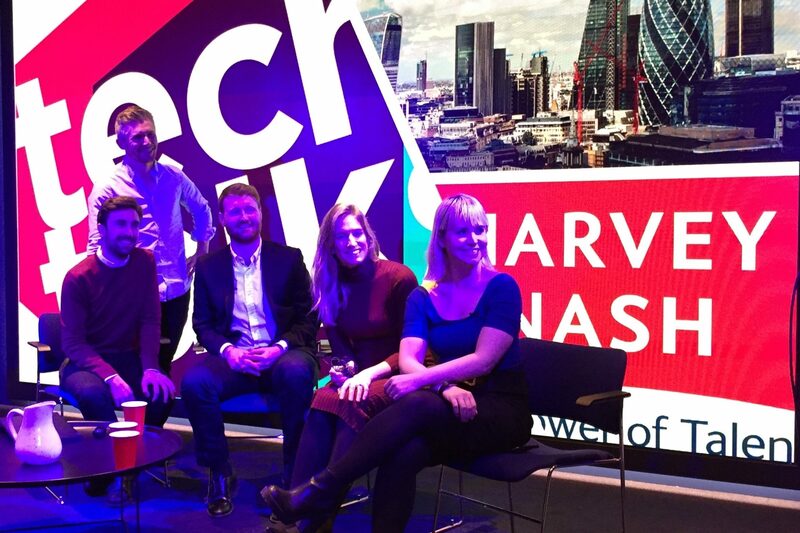 White City Place is delighted to have hosted the first event in partnership with Tech Talks Live, the audience based panel discussion hosted by the Tech Talks podcast founders David Savage and Jack Pearce, which focuses on a different area of tech for each event. Located in The Studio in the WestWorks, the debate was centred around the question ‘Can Tech Heal Society?’ with particular emphasis on GovTech. The panel was made up of specialists from across the GovTech spectrum. There were two short presentations to begin proceedings from Robyn Keegan of Harvey Nash and Johnny Hugill, lead researcher at GovTech fund PUBLIC. Following on from the presentations, Hugill joined Dr Hannah Allen of Bablyon Health, and Jillian Kowalchuk, founder of Safe and The City, in a panel debate. Questions from the audience were asked via Twitter and following the discussion, pizza and beer were served and there was an opportunity for networking. The event was streamed live from The Studio on Twitter, and the podcast will be released on Monday the 4th of January.